electric vehicles (EVs) at designated District sites on a structured fee basis, in January 2015, the District established electric vehicle charging policy guidelines (BUL-6430 Electric Vehicle Charging). In an effort to expand the policy, the Sustainability Initiatives Unit has explored various opportunities to fund pilot projects with our utility providers, the Los Angeles Department of Water and Power (LADWP) and Southern California Edison (SCE). 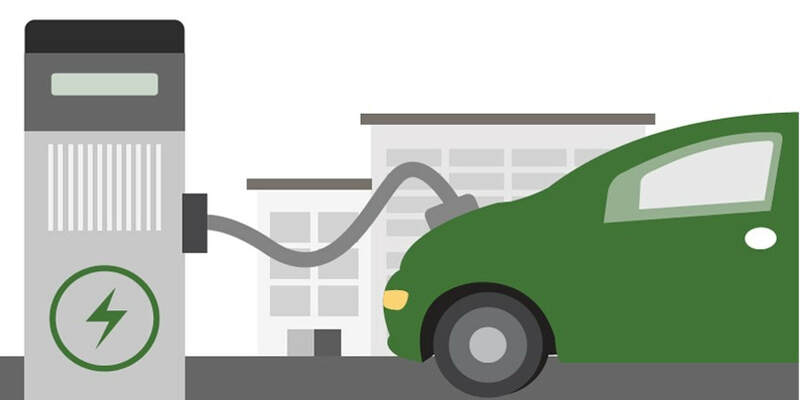 The District is also exploring funding opportunities made available by the California Energy Commission (CEC) as part of the advanced Vehicle Grid Integration Research and Demonstration Project, which pairs DC fast charge EV chargers and battery storage to manage the load of the chargers. This research effort will help develop the research and knowledge base around EV charging and advanced electric grid management. Charging stations have been installed by SCE at Garfield, South Gate, Southeast, and Maywood Academy high schools. Garfield, South Gate and Southeast each have 10 stations, Maywood Academy has 9. Sites were chosen in collaboration with SCE based on: location in SCE service area, parking lot size, ability to meet Americans with Disabilities Act (ADA), proximity to power source, and Principal approval. Sites are anticipated to be energized and available as of the fourth quarter of 2018. Stations are for the exclusive use of school-site personnel and students, as applicable. Tesla drivers will need a J1772 adapter to utilize the charging stations. Please check back for further information and schedule updates. Level 3 - often referred to as "DC Fast Charging" that provides full charge in approximately 30 minutes. The charging stations installed at District schools will offer Level 1 and Level 2 charging, with adapter as necessary. They are for the exclusive use of school-site personnel and students, as applicable.